Maryanne was in the studio tonight recording some spoken word for a set of healing meditatiion CDs. You can find out all about Maryanne here. 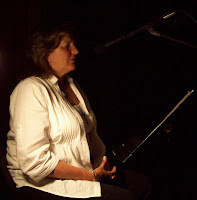 We will be working on more spoken word next week, an soon will be recording some of maryanne's music as well. (Update 21/10/10): All voice and background music recording has been finished and final editing and mastering is underway, should be finished by the end of next week.